CABADBARAN CITY, Agusan del Norte, Jan. 30 (PIA) – The City of Cabadbaran, Agusan del Norte has been awarded as the Best Performing City besting five other cities in Caraga Region. During the recent awarding ceremony in Butuan City, the Department of Health (DOH) Caraga region has recognized the city because of its outstanding achievement in the 2017 Local Government Unit (LGU) Scorecard Assessment and for the continued contribution to better health outcomes of the city. 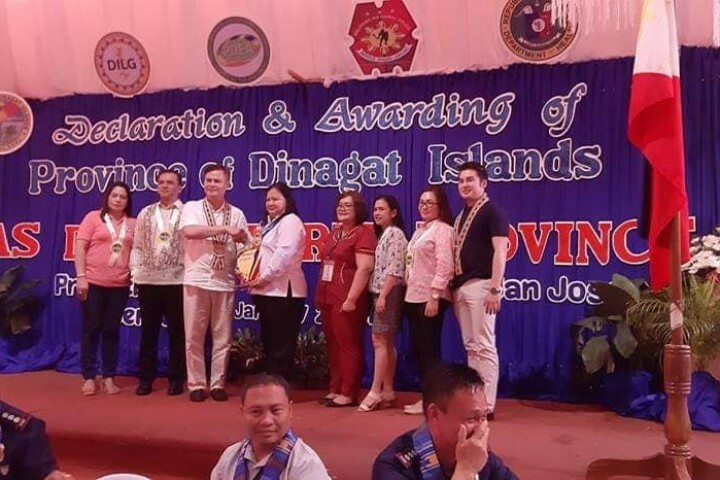 Also, they were recognized because of having responsive health systems, equitable health care financing and for the overall efforts of the city for the attainment of Formula One Plus goal as implemented and monitored by the DOH. City Administrator Rene Retiquiz received the LGU Scorecard, check worth Php75,000 and the LGU Scorecard Result during the awarding ceremony. Retiquiz is thankful to the DOH for the awards they received and for the support extended to the LGU. Retequiz also recognized the efforts of the city health workers. “I would also like to take this opportunity to recognize the efforts of our health workers, the men and women of our City Health Office, headed by our City Health Officer Dr. Jose Zaldy Secote, who work more than enough just to respond the needs of our constituents,” Retiquiz said. "This only shows that we are doing something right from the previous up to this present administration," he added. Retiquiz has also recognized the significant support of their partner-stakeholders, the provincial government thru the Provincial Health Office and the DOH for the technical inputs and even financial support extended to the city to advance and foster quality health services to the constituents. “The city shall continue to consider health services as our top priority. We are a strong advocate that a healthy community is a fundamental requirement for sustainable development,” Retiquiz said. Cabadbaran City’s ultimate vision is to have an advanced, well-staffed and seamless health system that will focus on prevention, and make healthcare accessible to all, he added. 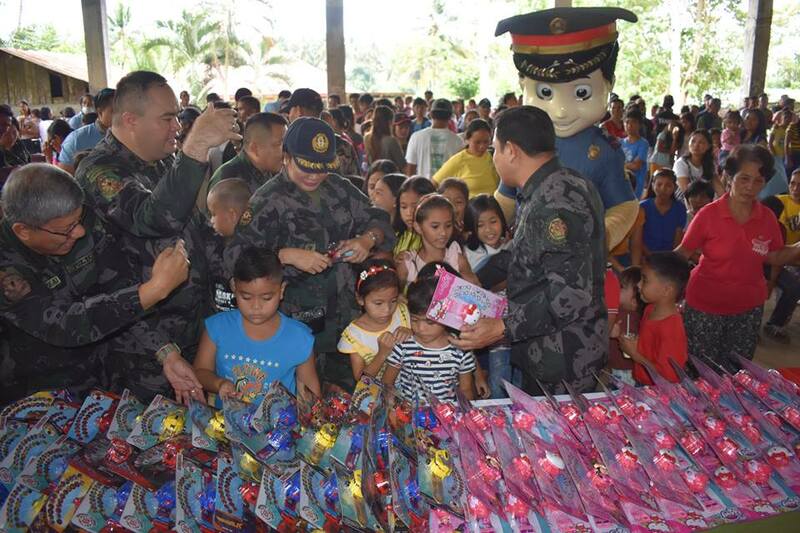 BUTUAN CITY, Jan. 30 - Several free services from the government have reached the far-flung area of Brgy. Taod-oy, Magallanes, Agusan del Norte though the community outreach program of Police Regional Office 13 Tuesday. Free medical and dental checkup, circumcision, haircut, medicines, food packs, feeding, school supplies and slippers, eyeglasses, and tooth extraction were availed by the local populace. Chief Supt. Gilberto Cruz, Regional Director of Philippine National Police (PNP) Caraga, personally led the activity which was also attended by Senior Supt. Ramir Perlito Perlas, Provincial Director of Agusan del Norte Provincial Police Office, teachers and barangay officials of Taod-oy. Outstanding performances from the Regional Mobile Force Battalion’s Tagahadlang Band and the ‘Laro ng Lahi’ had entertained the children, parents, and even senior citizens. “The government is always working for you and wants to see our people live in an environment conducive for peace and development. 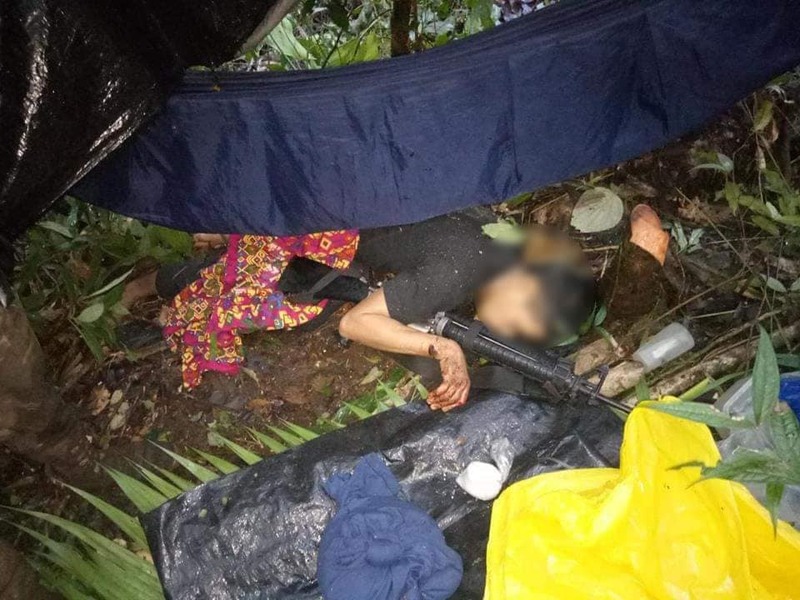 SURIGAO CITY, Surigao del Norte, Jan. 30 (PIA) - Two Communist Party of the Philippines – New People’s Army terrorists (CNTs) were found dead in an encounter with the troops of 30th Infantry Battalion (30IB) in the outskirts of Sitio Little Baguio, Brgy. Payapag, Bacuag, Surigao del Norte on January 25, 2019. The troops of 30IB conducted security operations in response to a report from a concerned citizen on the presence of NPAs in the said sitio. As they arrived in the area, they encountered an estimated 30 fully armed terrorists of Guerilla Front 16 (GF16) of North Eastern Mindanao Regional Command (NEMRC) led by Alias JD/Bern. The firefight lasted for one and a half hours. After which, the CNTs scampered in different directions and resulted to zero casualty on the government side while a female and a male CNTs in their 20s were found dead in the encounter site. More of them are believed to be wounded in the clash as stains of blood were visible in the withdrawal route. The cadavers were brought at the Bacuag Funeral Homes and were properly turned over to barangay officials and Philippine National Police (PNP) personnel for proper disposition and identification. “We extend our deepest sympathies to the bereaved families of the dead NPA terrorists. It is tragic that up to this moment, there are still people who are blinded by the failed ideologies of these terrorists. We have coordinated with the local government unit and our PNP counterparts to help us find their families and ensure that proper burial will be given,” said Lieutenant Colonel Allen Raymund Tomas, commanding officer of 30IB. 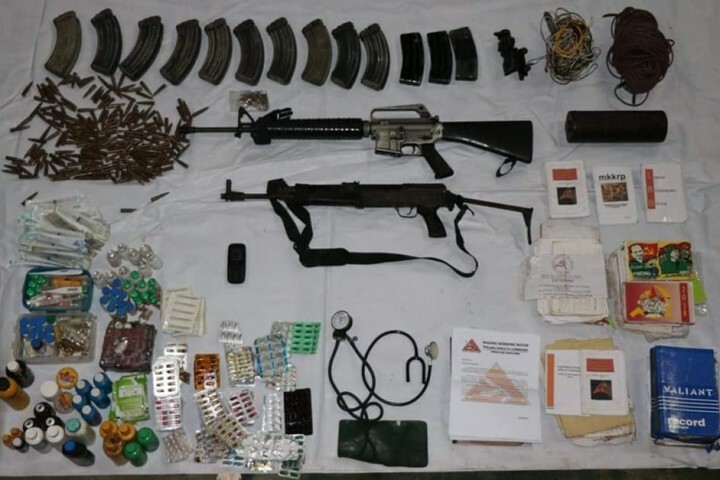 Moreover, the army troops also overran the CNTs’ lair that can accommodate 50 persons and recovered one AK47 rifle, one M16 rifle, one landmine with 100 meters electrical wire, three magazines of M16, 10 magazines of AK47, assorted medicines, personal belongings, and subversive documents. 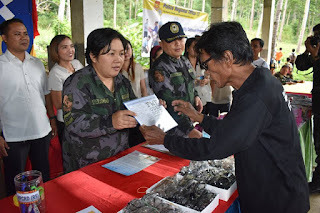 Brigadier General Franco Nemesio Gacal, commander of 402nd Brigade, said the locals' timely information regarding the presence of CNTs in the area had helped the government troops in preempting possible NPA atrocities in connection with the celebration of the 50th NPA founding anniversary in March 2019. “This is a great sign that the people are no longer allowing these terrorists to stay in there peaceful community. Rest assured that the Philippine Army will continue to take aggressive actions in order to stop the NPAs from committing crimes against the people,” said Gacal. Major General Ronald Villanueva, 4th Infantry Division commander, also said the units under the 4ID have never stopped going after the NPA terrorists in their area of responsibility. “We have not declared any suspension of operations even during the last holiday season and we are determined to end the deception and terrorism brought by Communist Party of the Philippines (CPP) – NPA – National Democratic Front (NDF) or CNN in the communities,” he said. 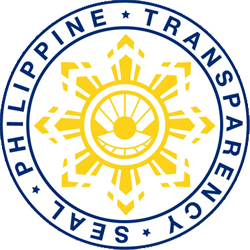 PROSPERIDAD, Agusan del Sur, Jan. 30 (PIA) - The Department of Agriculture-Philippine Rural Development Project (DA-PRDP) has recently turned-over the completed construction of 2.7-kilometer Sitio Gasa to Algon Farm-to-Market Road (FMR) amounting to Php21.1 million to the farmers and residents of the municipality of Trento, this province. The concrete road does not only support the rubber and palm oil industries in the municipality but also boost the production of other high-value crops like mangosteen, banana, and cacao in the area. “No more hassle. The farm-to-market road has changed our farming attitudes and encourage us to produce more,” said Razel Altieza, a banana farmer in Barangay Algon. Altieza said that the common commodities in the area before were just rice and corn when the road was narrow and muddy every time it rains. “Farmers before were tired of expanding because of the hassle and big cost in transporting their produce. Now, people can see various commodities in our area. Farmers are inspired to expand and produce more because they can now save a big amount in transporting their commodities to the market,” Altieza said. DA Regional Executive Director Abel James I. Monteagudo recognized the good attitude and hard work of the farmers in utilizing their farm areas. “I believe the farmers here are industrious in utilizing their areas. Various crops are everywhere. This FMR will surely bring better production in this part of Trento,” Monteagudo said. Barangay Chairperson Doreen Peñaloga recalled that most farmers were hopeless for the realization of the concrete road since there were farm owners before who were not willing to donate a part of their land for the road right of way. “It was really a struggle on our part as barangay officials to encourage some of the landowners to donate a part of their area for the road, but with the help of the residents and PRDP’s processes in dealing with concerns like this, the problem was eventually solved,” said Peñaloga. The concrete road connects from Barangay Poblacion to Sitio Gaza and has paved the way for the opening of the road to Barangay Tudela. 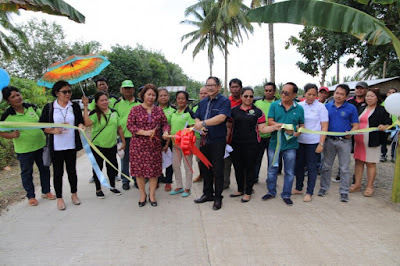 “This road really helps a lot not just to the farmers, but also for the easy transportation of the neighboring barangays in going in and out of this area,” Peñaloga added. LUNGSOD NG SURIGAO, Surigao del Norte, Enero 30 (PIA) - Matapos maisagawa ang mahigpit na assessment at validation ng mga miyembro ng Provincial Oversight Committee on Barangay Drug-Clearing Program sa mga kinakailangang dokumento na isinumite ng iba’t ibang barangay, idineklara ng Philippine Drug Enforcement Agency o PDEA - Caraga ang Dinagat Islands bilang kauna-unahang drug-free na probinsya sa rehiyon ng Caraga. Ayon kay PDEA-Caraga regional director Aileen Lovitos, ito’y kinabibilangan ng isang daang barangay kung saan pumasa ang mga ito sa naitakdang parameters para maideklara ang isang lugar na drug-free. Paglilinaw ni Lovitos, ilan sa pamantayan para maging drug-free ang isang komunidad ay kung wala itong supply ng iligal na droga, walang tulak o gumagamit ng droga, at walang lihim na laboratoryo o marijuana plantation site. Dapat din anya na mayroon ng aktibong anti-drug campaign programs ang mga lokal na pamahalaan, community-based rehabilitation o treatment center, education awareness program at pagkakaroon ng lokal na ordinansa laban sa iligal na droga. “Hindi ibig sabihin na sa pagdedeklara ng mga drug-cleared na lugar ay hihinto na rin tayo sa ating kampanya laban sa iligal na droga, kundi magpapatuloy tayo sa pagmomonitor sa mga ito, dahil kapag may aktibidad na naman hinggil sa iligal na droga ay muling mapapabilang na naman ito sa listahan ng mga barangay na apekdo,” sabi ni Lovitos. Nauna na ring naideklara ang munisipyo ng Tubod sa Surigao del Norte bilang drug-cleared na munisipyo habang nakatakda naman ang seremonyal na deklarasyon ng Surigao del Sur bilang pangalawang drug-free na probinsya sa Caraga. Sa katatapos lang na Regional Inter-Agency Committee on Anti-Illegal Drugs Coordinating Group Meeting, ibinalita din ni Lovitos na nangunguna sa buong Pilipinas ang PDEA-Caraga sa tulong ng mga partner stakeholder sa pagpapatupad ng barangay drug clearing program o BDCP kung saan may humigit anim na raang barangay na ang naideklarang drug-cleared. 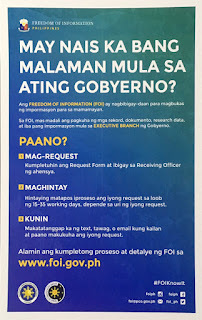 Sinabi pa ni Lovitos na patuloy ang kanilang monitoring at validation sa mga personalidad na napabilang sa watchlist at kung makumpirmang may kinalaman sila sa operasyon ng iligal na droga ay isasagawa ang anti-illegal drug operation para mahuli ang mga ito at mahinto ang masamang gawain.